President Susilo Bambang Yudhoyono was attending the Oslo Climate and Forestry Conference (May 26-27). The discussion on the Reducing Emissions from Deforestation and Degradation (REDD) Plus scheme dominated the meeting. Indonesia was hoping this conference would clarify aspects of the REDD scheme, especially the international community’s commitment to support REDD implementation. President Yudhoyono himself then signed an agreement with the Norwegian prime minister on a partnership in the forestry sector. The ongoing talks on climate change, and the inclusion of combating deforestation as an integral part of global warming mitigation, have created enormous opportunities to fund forest conservation. In this Oslo meeting, developed countries were pledged to increase their commitment regarding REDD financing by up to US$5 billion (The Jakarta Post, May 25). Indonesia is also one of the countries to become a pilot for the Forest Investment Program (FIP), one of the programs of the Strategic Climate Fund. The FIP is aimed to help developing countries implement the REDD scheme by programmatic investments, which will hopefully result in significant changes in the forestry sector. The current level of financing available for this program is about $550 million. But the question remains: will these funds be significant for better forest conservation in this country? Forest conservation efforts in Indonesia cannot be separated from international community support. There has been a long record of significant contribution by the international community to solve the problems of nature conservation in Indonesia. Many kinds of assistance have been given, through bilateral cooperations as well as cooperation between NGOs. Last year, for example, Indonesia signed a Debt Nature Swap (DNS) agreement with the United States. The amount of the swap was relatively small, i.e. $30 million, compared with the total of Indonesia’s debt. However, this is one of the breakthroughs in conserving forests, as well as decreasing our national debt. Since the Tropical Conservation Forest Act was passed in the US in 1998, this was the highest amount compared to similar agreements between the US and other countries. For Indonesia, this was, in fact, not the first of such agreements. There was a similar agreement between Indonesia and Germany. However, the DNS with the US involves a civil society institution in managing the fund. Nevertheless, these huge opportunities for financing conservation could end up with no significant outcome and could just become part of the tragedy of nature conservation in this country. Forest conservation in this country has become a multimillion dollar business; but in fact, there has been no real impact on the forest itself. Deforestation rates keep increasing. So what has been going wrong? According to many analyses, conservation problems in Indonesia are not really associated with the lack of funding, but rather on the lack of commitment from the government and its citizens. We can see a fine example of this in the “integrated conservation and development project” (ICDP) which was undertaken by the World Bank between 1999 and 2005 in an area of Kerinci Seblat National Park in Sumatra (see my opinion in the Jakarta Post, Dec. 13, 2008). The most shocking result from the program, which was aimed at integrating ecosystem conservation and regional development, was that the greatest loss of forest area during the project happened in the area receiving the largest proportion of grants. In the end, this project was rated unsuccessful. The so-called conservation projects such as ICDPs represent little more than wishful thinking, said John Terborgh (2004) in his book Requiem for Nature. The term “project” itself, he noted, means that it is only for a fixed term. In reality, conservation parks are intended to be permanent institutions. Conservation projects sometimes aim at the wrong targets — just on the local people instead of being more focused on the conservation area and its resources. Even though it is debatable, Terborgh asserted that not all social change could be brought about through a bottom-up approach. Conservation areas are heavily affected by external forces, such as a lack of law enforcement and corruption. These things are sometimes far beyond the solutions conservation programs can offer. Should this cycle of conservation failure be happening again? For us, the problem may lie in our own mentality.Our incapability to take care of our land and resources is a reflection that we cannot be fully independent. We are probably more accustomed to being commanded rather than commanding. When we have a chance to take care of our own resources, as Herman E. Daly (1999) points out, “a good servant becomes a bad master”. In the short term, we may rely on funds from the international community; however, in the long run, we really need to stand on our own two feet. We, Indonesians, have to take more responsibility in taking care of our own home. The REDD scheme is more focused on defending existing forests from destruction, which consequently reduce carbon emissions. Therefore, for the first stage, we might only need to allocate the funds to a conservative approach to conservation, which means safeguarding the remaining conservation forests. We should realize that many factors affect less successful forest conservation in Indonesia. Just trying to get more funds will not solve the problem. In fact, more funds under international cooperation schemes could become another horror story if we just perceive these schemes simply as “projects”. Therefore, the greater challenge is not how to get financial support, but how to direct those potential funds to bring a more significant outcome to forest conservation. 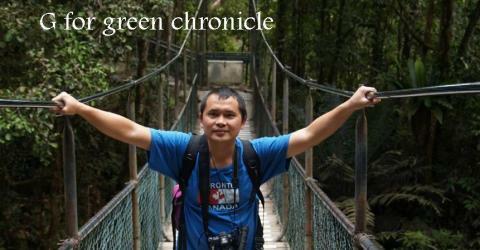 The writer is an ecologist at the University of Bengkulu and an Australian Leadership Award Fellow.